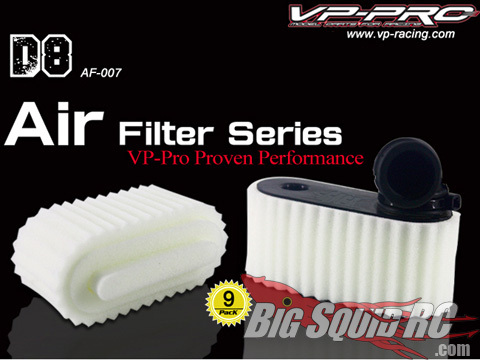 VP-Pro Hot Bodies D8 Filters « Big Squid RC – RC Car and Truck News, Reviews, Videos, and More! If you are running a Hot Bodies D8, your probably in the need of some new air filters. The folks at VP-Pro have you covered with their new high performance filters.